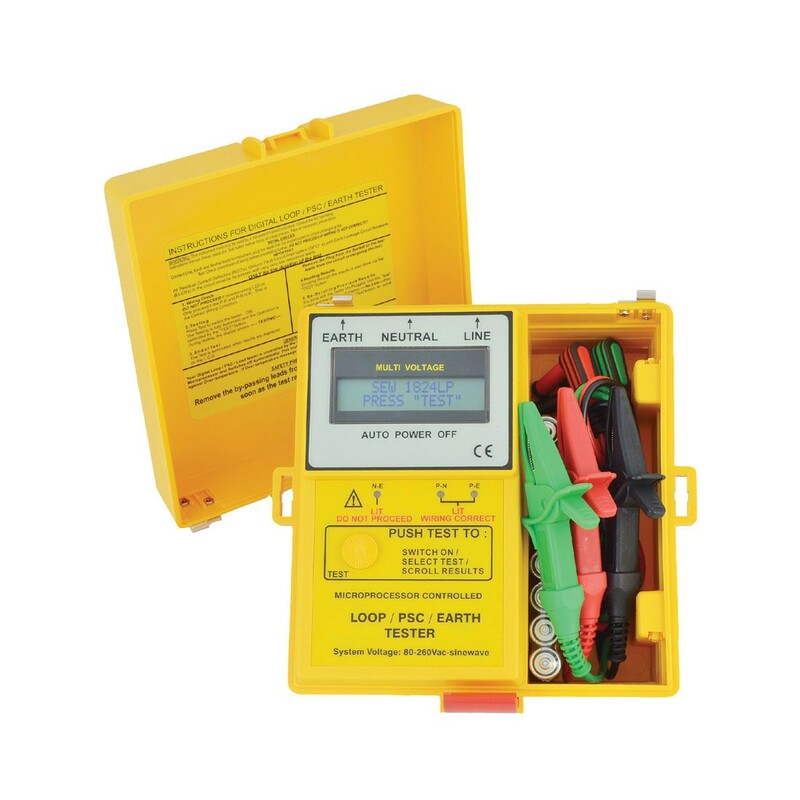 The 1824LP is a new generation of electrical instruments for testing electrical installations. It has a built-in Earth tester which does not require the use of poles or long wires. With the 1824LP the electrical engineer can quickly ascertain if basic components of the network are healthy or if a problem is present between Line to Neutral, Line to Earth or in the Earth path. Measures Earth Resistance without the need for poles in the ground or external measuring wires. Earth measurement uses the real earth current path and the current generated by the electric network, without the need for any disconnection. Displays voltage supply at the transformer(Line to Neutral), without loading the transformer. Single one smart push button operation; ON, Scroll through results and menus. Auto-off / Auto-ranging (software range). Combined prospective short circuit current, loop, and earth tester. Loop test for L-E and PSC between L-N. Display can be customized for large orders.